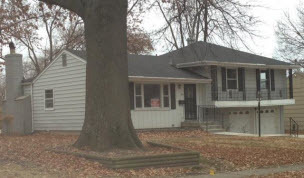 Spacious home on a quiet street located just 3 short blocks to Raytown schools. With a 2 car garage and vinyl siding, this property has impressive curb appeal. With a custom kitchen opening into the great room and front entry, this stunner also features a full finished basement with a fireplace to keep warm on cold winter nights. Beautifully appointed and finished on the inside with new paint, flooring, appliances and much more, this home won’t last long!